Product prices and availability are accurate as of 2019-04-21 14:15:04 EDT and are subject to change. Any price and availability information displayed on http://www.amazon.com/ at the time of purchase will apply to the purchase of this product. 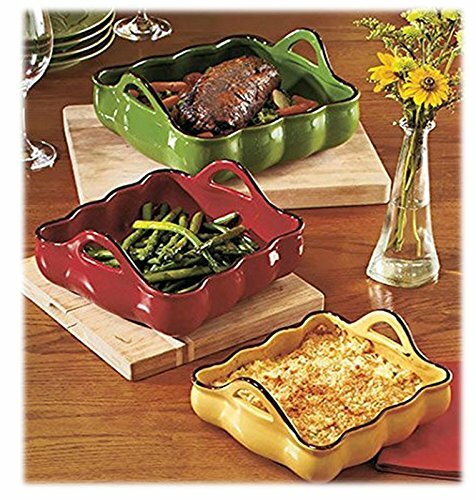 Go from oven to tabletop with this Set of 3 Handled Bakers. This 3-pc. 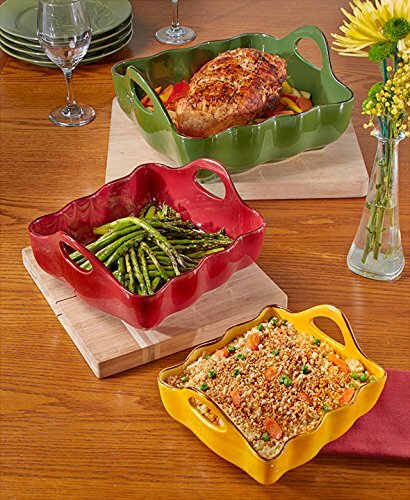 set features half-loop handles on each side for easy lifting and nests for storage. Scalloped sides make them a beautiful way to create and serve roasts, casseroles, veggie side dishes and more. Stoneware. Dishwasher, oven and microwave safe. 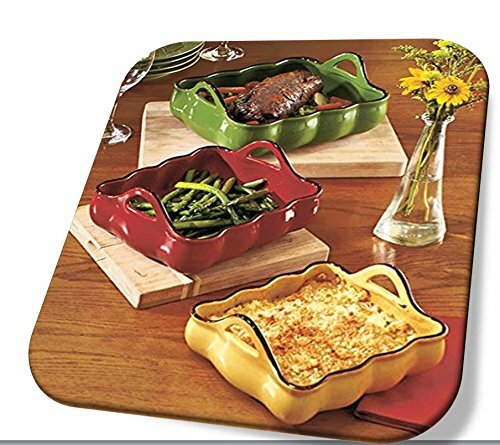 Go from oven, to table to dishwasher! Large, 12-1/4" x 10-1/2" x 5-7/8"
Medium, 9-5/8" x 8-1/2" x 4-1/2"
Small, 7-3/4" x 7" x 3-3/4"